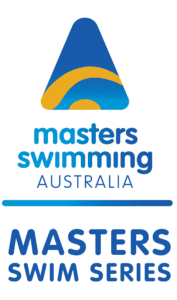 The series will generally comprise eight meets annually, with one nominated meet from each of the Masters Swimming Branches, plus the highlight -the MSA NATIONAL CHAMPIONSHIPS. So if you want to travel Australia, make new friends and swim at any of the eight pool competitions throughout the year, we would love to see you. The best swims from 5 swim meets will be used and then it does not disadvantage the people who do not participate in all 8 Swim Series meets. Attending more meets would give any swimmer a better chance to compete against the “super fish” in their age group, but to keep the integrity of the Series and to encourage members to travel and support Masters Swimming meets – a minimum of two Series meets would need to be entered and swum to be eligible for awards. This will deliver approximately 30 trophies/awards in total. Progressive points for the series will be available on the MSA Results Portal. The formula only works with FINA Events because a point base is required (world record = 1000pts). At a swim series meet, only the 50, 100, 200, 400 IM, 400 Free, 800 Free and 1500 Free are eligible for the Swim Series awards; i,e. no 25m events, no formstrokes over 200m, no relays legs etc. A full list of competitor results can be viewed in the MSA Results Portal using the links in the sidebar.